A sample of Nepali-Tibetan weaving crafted by Silk Road Rug Industries utilizing the time honoured ‘Wangden’ technique indigenous to the like-named valley in Tibet, China. Historically prized by for its uniqueness the technique has yet to attract widespread attraction amongst modern carpet makers. | Photograph by The Ruggist. A sample of Nepali-Tibetan weaving crafted by Silk Road Rug Industries utilizing the time honoured ‘Wangden’ technique indigenous to the like-named valley in Tibet, China. 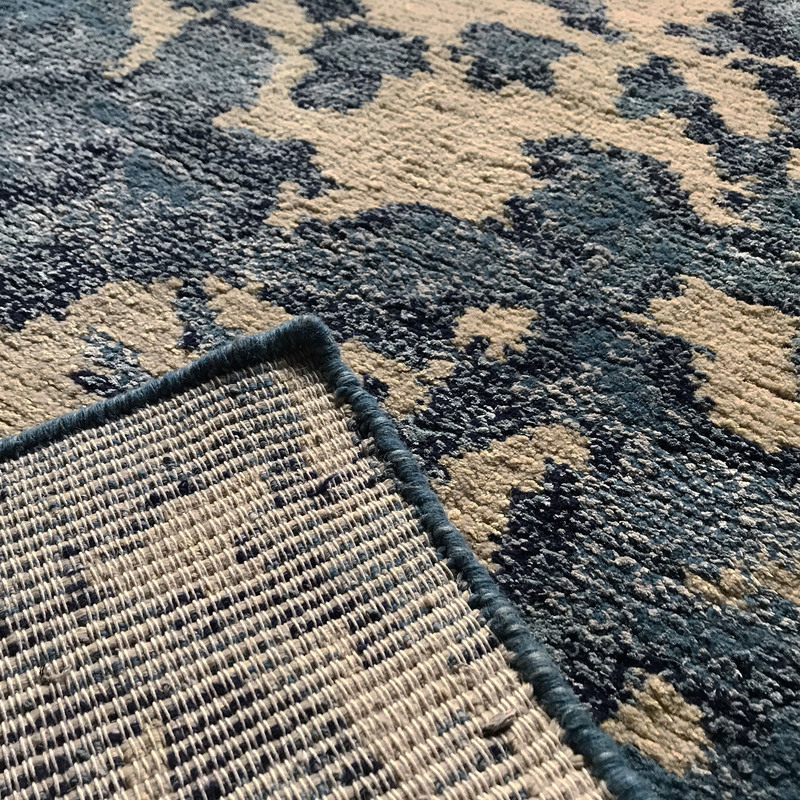 The warp-faced back indicative of the technique is shown along with the pile face of the carpet. | Photograph by The Ruggist. 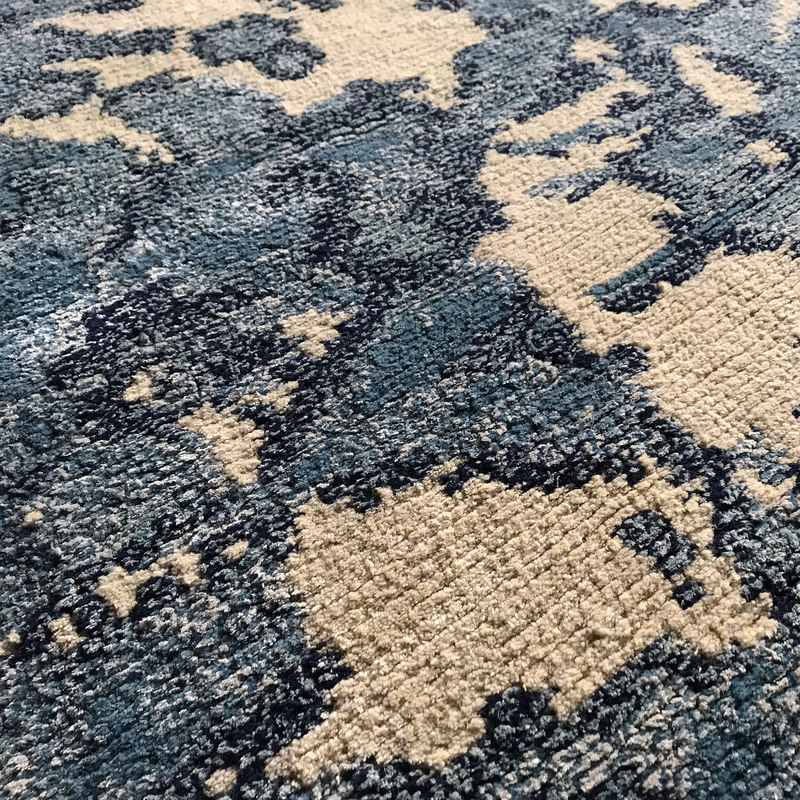 It is also beautiful and eye catching, ‘new’ if one would rather, and it is precisely what the handmade carpet industry needs in this moment. Less copying, more original designs, and to be quite frank, carpets like this which actually stand proud of the banal homogeny of sameness, introducing something new, err, reincarnated to the world of rugs. I love this piece so much and I long to see more work like this in the marketplace. Don’t you agree? Spotted in Kathmandu of course!! For further information on this example of the Wangden weaving technique, contact Silk Road Rug Industries.